What is a Registered Agent in California? What is the annual fee for registered agent in California? California registered agents charge yearly fees that can range from $39 for a cheap registered agent in California to fees in excess of $400 per year. Our firm provides California registered agent services for a fee of $250 per year. What is a registered agent for an LLC in California? How to find name of registered agent for a Corporation or LLC in California? The current agent for service of process must be entered in Item 3. Often, the "agent" completing Item 3 is not the agent of record or the agent has already resigned. The name of the corporation's current agent for service of process, if any, is available online on the Secretary of State's Business Search. If the corporation's current agent for service of process is a registered corporate agent, the registered corporate agent's name must be stated in Item 3 and Form RA-100 must be signed by an authorized representative of the registered corporate agent. A California or foreign corporation may change the name of an officer or the agent for service of process by filing a new Statement of Information (Form SI-100 [for California nonprofit corporations] or (Form SI-550) for California stock or registered foreign corporations]. (Corporations Code sections 1502, 2117, 6210, 8210, or 12570; or California Financial Code section 14101.6.) Form RA–100 should not be used. How to change registered agent in California? Statement of Information - Domestic Stock and Foreign: Form SI-550 must be used when filing the first Statement of Information (due within 90 days of formation and every year thereafter). 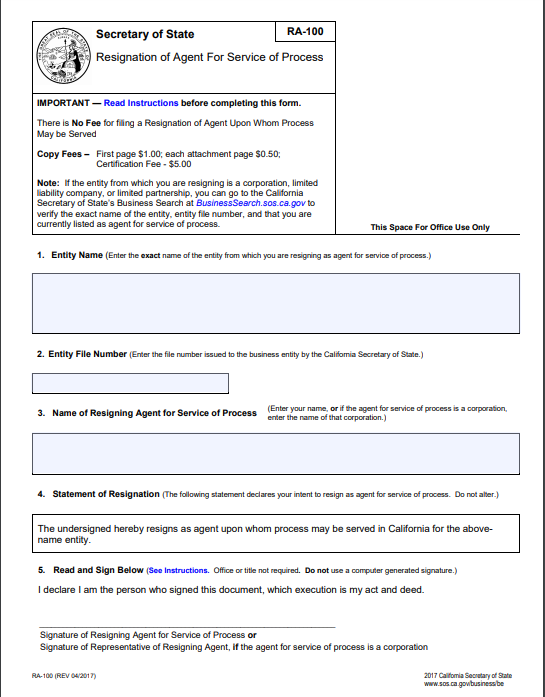 Complete form SI-550 to change registered agent in California. The Business Programs Division offers various services for filing and order requests submitted in person. However, if you are not able to do business in person, you may wish to engage the assistance of a private service company. Please note: The Secretary of State's office does not endorse these service companies nor are they affiliated with the Secretary of State's office. Our firm is a private service company and provide services to the Sacramento Secretary of State. READY TO HIRE US TO BE YOUR CALIFORNIA REGISTERED AGENT? Do you need to locate the California registered agent for service of process? Are you unable to locate the registered agent and need some assistance. There is no fee unless we locate the California registered agent. 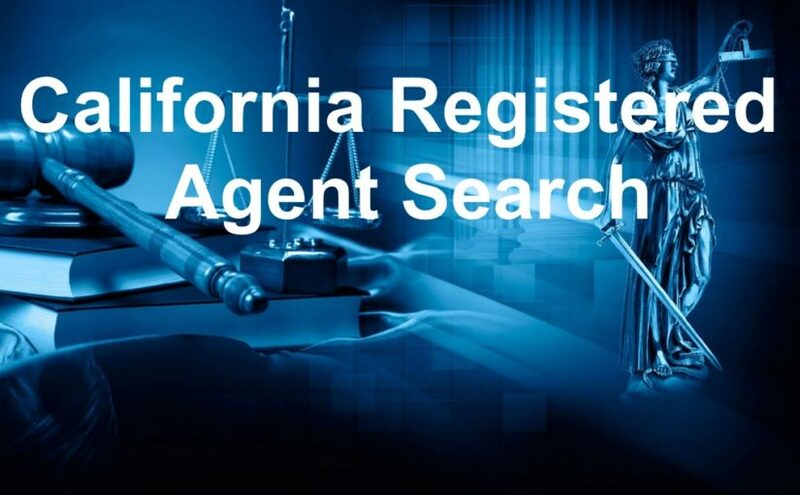 Complete the form below to order a California Registered Agent Search. Describe the services you are requesting in detail. This search provides access to available information for corporations, limited liability companies and limited partnerships of record with the California Secretary of State, including free PDF copies of imaged business entity documents, including the most recent imaged Statements of Information filed for corporations and limited liability companies. Please note: This search is not intended to serve as a name availability search. 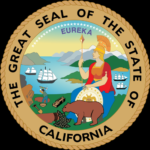 List of California Registered Agents.